One of Tucson’s historic and charming structures, The Temple of Music and Art has a unique and fascinating history. The Temple of Music and Art was founded by Madeline Dreyfus Heineman Berger, who moved to Tucson from Los Angeles around the turn of the century. A prominent activist in support of music and the arts in Tucson, Madeline founded the “Saturday Morning Music Club,” a women’s group whose members shared a common love for the arts. By 1910, the Music Club was sponsoring performances by opera singers and other musicians. In 1927, The Temple of Music and Art opened as a performing arts space. The groundbreaking for the Temple of Music and Art was attended by the famous opera soprano Amelita Galli-Curci from Milan, Italy. A welcome addition to downtown Tucson, the building was designed by architect Arthur W. Hawes, best known for his work on the Pasadena Playhouse in Southern California. Over the years, the Temple of Music and Art was the performance venue for countless performances, including ballet, opera, and symphonies. In 1957, the 50th anniversary of the venue’s opening was celebrated with a free concert to Tucson residents. The Temple of Music and Art changed owners multiple times over the years. In 1970 the building was known as El Cine, screening Spanish movies. Later, it would be known as Cine Azteca. In need of serious repair, a property developer acquired the property in 1982, intending to raze the structure. In 1984, the newly formed Tucson Artists Coalition successfully petitioned the city to save the building. This Tucson cultural center was renovated and revitalized. 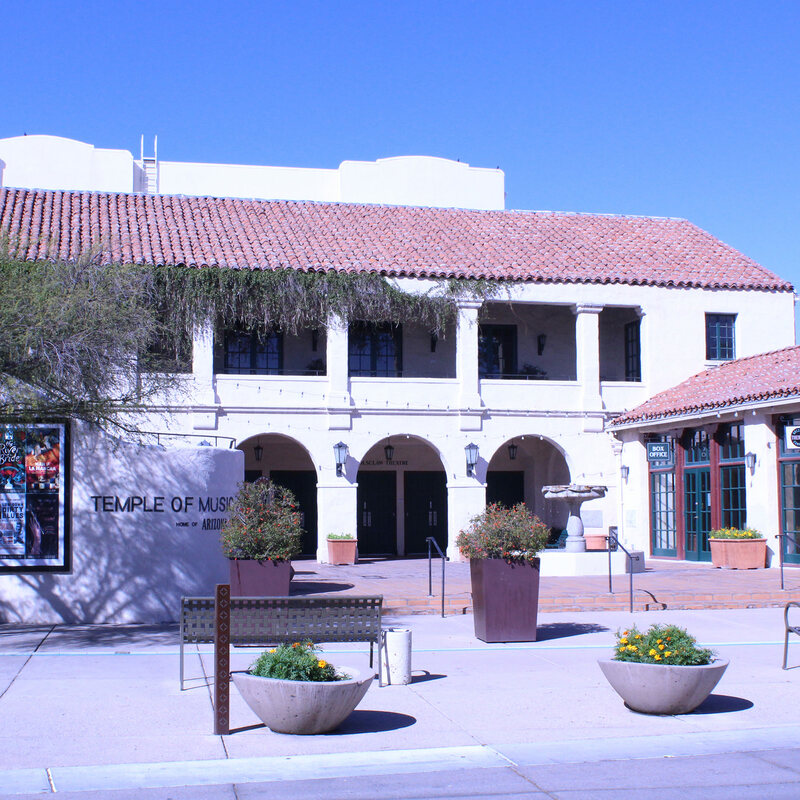 In 1990, The Temple of Music and Art became the Tucson home of the Arizona Theatre Company, who continues to perform and operate the space until this day. When you sit down to watch an intimate opera performance, no further than 66 feet from the stage, you can take delight in knowing that you’re supporting great opera in a venue with a rich cultural history.